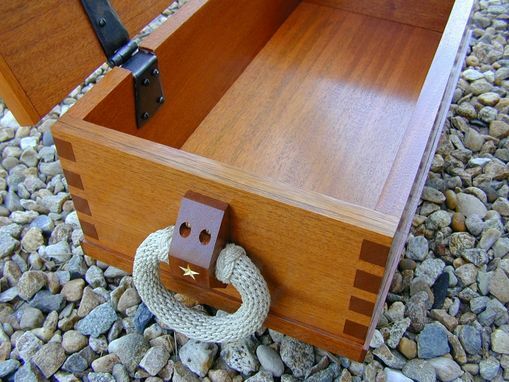 While sea chests were relatively common aboard ship and carried by most sailors in the sea faring days, it is interesting that miniature chests or ditty boxes were often used to hold ships' papers, sextant and navigation aids. 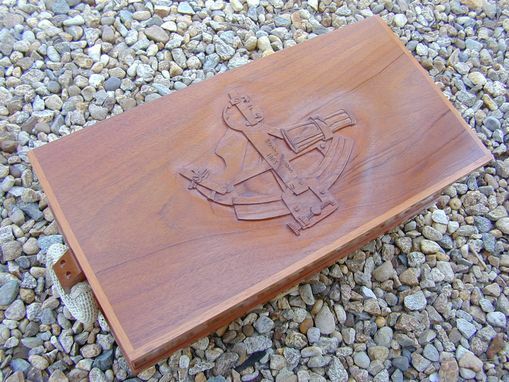 Many sea captains built ditty boxes for their personal possessions including journals, pocket watches and letters.The boxes are dovetailed and hand carved. Both mahogany and pine boxes are finished with multiple coats of high quality tung oil, making them extremely durable while creating a rich patina. The stains for the pine boxes are available in many color choices. 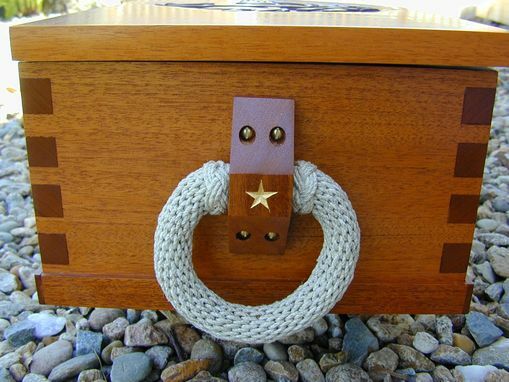 The handles on the boxes are handmade cotton cord grommets, also made by my wife Francesca. The top of the box is attached with iron hinges. The hinges are hand forged on Martha's Vineyard. 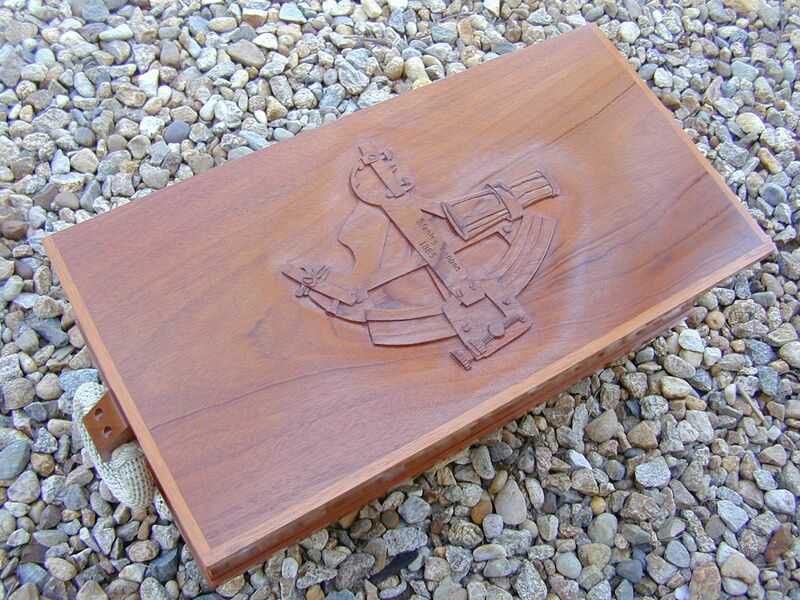 Some of the options available on both mahogany and pine boxes are velvet lining, aromatic cedar, locks and personal inscriptions. Each box comes signed and dated. 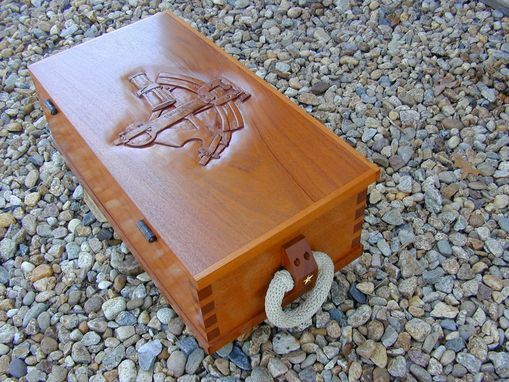 Because of the smaller size of the traditional ditty box, it lends itself to different uses than the sea chest or blanket chest. 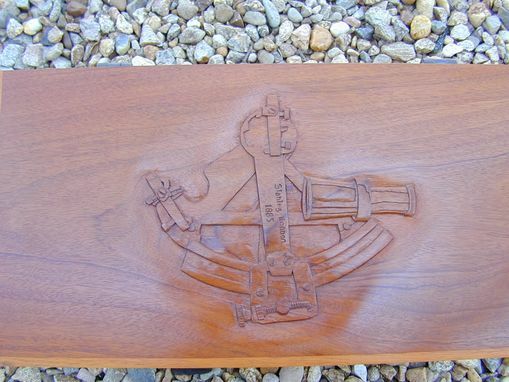 It can be handsomely displayed on top of a desk to store important documents, on a dresser as a beautiful jewelry box or to hold your ship papers. 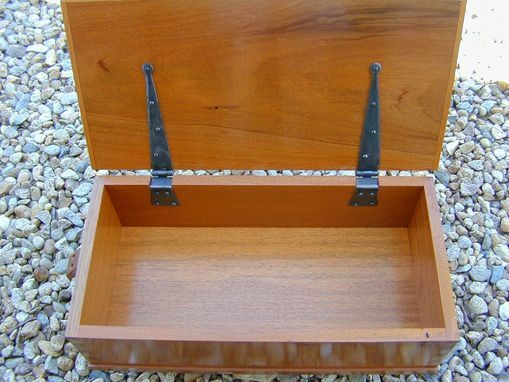 Ditty boxes can easily be moved and carried around like a small piece of luggage. Dimensions: 7/8" x 12" x 8" x 24"